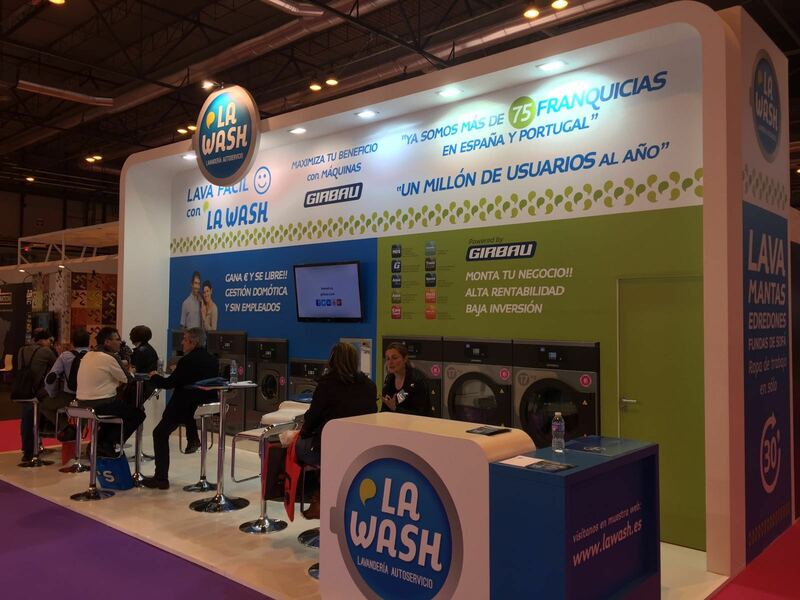 La Wash is a franchise chain specialized in self-laundering laundries. This company offers striking stores, where the customer can be comfortable and at ease while washing processes are performed. Besides, La Wash not only stands out for its excellent quality – price in offering their services, but it has managed to develop a strong brand image that is not indifferent to any investor interested in the industry. Below, Franquicia.net interviews the manager of the company, Javier Llacuna, who will tell us the keys to this successful franchise. What’s our business concept based on? It is a highly profitable business because the market is growing in Spain, with a high automation component that requires very little effort to manage it. It is a new generation service of washing machinery but whose use is simple, fast and with a very competitive price, in a pleasant and modern environment, open 365 days a year. What is the profile of franchisee that you seek? Our ideal profile would be of a person who is an entrepreneurial and creditworthy. Preferably, he/she should show enthusiasm and motivation in seeking the highest return on their investment through the enterprise business, which also allows them to have time for other activities. What are the main elements that differentiate you from the competition? La Wash stands out from the competition by providing the franchisee the best professional laundry equipment market, offers a complete payment center, where the customer can choose to pay in cash, card or loyalty programs. Our management software enables the remote control of the business from any mobile device or computer, the franchisee will be in permanent contact with his/her business, know his/her billing, will be able to solve incidents and even open and close his/her business from anywhere. La Wash has the best home automation system for full control of the business even offers its franchisees, from cleaning up the shop, up to a 24/7 Call Center or marketing services. On the other hand, our powerful brand image and guaranteed quality of our business both in product and service are other values we bring and we clearly distinguish it from the competition. What are your investment requirements for your business concept? Entrepreneurs and investors interested in La Wash can have the project turnkey, from sixty thousand Euros. This fact means that the investor does not have to do anything more and this saves complications for him/her, since he/she is given a fully operational laundry and open to the public, whose contract has estimated ten years validity. All this, together with the necessary documentation to legalize. This is a great investment since La Wash requires no entry fee and no royalties of any kind. Only mandatory customer service for 95 Euros per month will be imposed, as this provision is essential to ensure optimal quality to our customers. In addition, the franchisee can choose to include a line of optional service that has advantages such as cleaning local, online promotion, activation of specific sales point and integrated management of POS. What are the prospects for franchise expansion? Our company expects to achieve large expansion rates soon, since the objective is to become the franchise self-service laundries reference in Europe. Expectations which are increasingly possible thanks to the good development of our business and to the efficient management of our franchisees. What is the volume of establishments with which you count?, How many franchisees and how many are your own? La Wash is a franchise network composed of thirty stores, 7 of which are own. Do you demand the franchisee some knowledge on the sector? What is the training that you give to the investor? The franchisee only needs motivation to invest or to undertake a new activity. Regarding to the sector, prior knowledge is not required, since signing the preliminary contract (with which contributes 5% of the investment), La Wash will detail the candidate all steps to follow to get the ideal venue. Our center will advise you proactively as necessary as regards the most suitable location and will be available for the franchisee all relevant information to efficiently manage his/her business information. 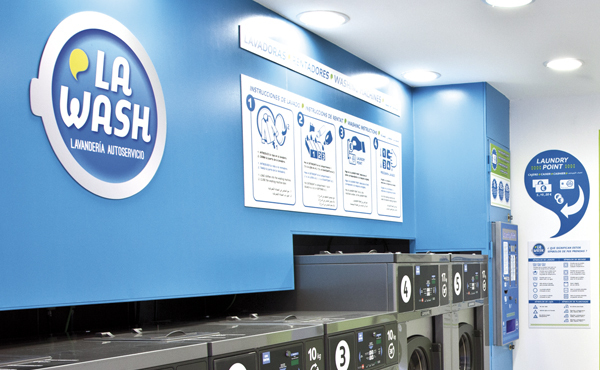 However, once the franchise is operational, the investor is guaranteed the full support of La Wash in relation to the management of the shop and marketing advice. What is the future projection of the chain within 5 years? Our future plans focus on achieving the expectations we have previously described. Thus, in a period of five years La Wash aims to be present in five countries and reach over 200 operational stores.